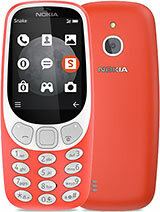 Do you think that Nokia 6230i worth the difference of money if one is not interested in camera resolution(>0.3Mpx)? i wanted to know how many mp3's will hold on the 1gb memory card. this phone is great, just check my firmware and its actually 5.34. can i watch a movie on this phone? the mp3 quality is very very good. for memory space saveing (as if needed 1000MB !!) download a mp3 to aac encoder. i'm running with it for about 60 min does'nt "burn" the battery at all !! hey guyz, ive been told zis iz ze phone to get! im not so keen on ze design of it but it seemz to have lots of features and lookz to be a pretty damn good phone, am i rite?! oh and does anybody no y we cannot use words of a sexual nature on here? i take it this iz not a chatter room.. hmm?!! you can change your video settings in the 'media' menu, to get more minutes of video recording. go to menu -> media -> Camera -> there you can find something like 'settings' for the lenght of the videoclip, and you can change it in to maximum. the mp3 quality is very good, the longest song ive got is i think about 4 mins sumthin. this is one of the nest phones nokia has ever made.i have fiends with motorola v3's who r giving them up to get a n6230.how much mp3 files can i play if get a 1gb mmc card? how do i know which firmware i have, and how do i get it upgraded? 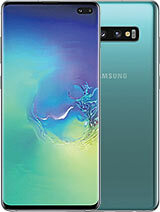 i think this phone is great!! the only problem that i have is that the video recording is for only 15 seconds which is not very good at all!! it should have atleast been for 10 mins. anyway i love my phone it rocks!!!! Well it is not unlocked but that is not the problem i guess my provider has got a contract with a local provider. The problem is that different countries use different systems. I wanted to know if my phone could handle the system over there. I've got a question about this phone. I'm going to Equador this summer. Is it possible to use this phone over there. Or is there a way to find out? hi guys i had this phone for 14 months now and its great but i just got one problem.. i sometimes can't delete the phto i have taken instanly sometimes.. this happens ocasionally can some1 help or explain why this happends? hey guys i have a question. is it possible to use this phone to record a song straight from its inbuilt FM radio ?? thanks alot in advance for any responses. Had this phone 4 months. It's a really good phone. Has everything. If you need more buy a pocketpc.. really. Menu speed is faaasst! Supports 2GB MMC card for crying out loud.. tons of MP3zz.. go for it!! I switched back to 6230 after one day using 6230i - This phone is just superb! It has most of the key features that we love and the new 6230i is not superior in those areas! 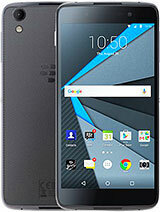 Only diff I see is that 6230i has the 1.3mp camera, bigger & brighter screen. So, it depends what are the key features you value. FFor me, the sms speed is unmatched even by the 6230i. the mp3 player is actually easier to use! so for now im planning to get the sony K750i for a change but ill buy it when the price is getting down,but for now ill still kee my great 6230!